Donna Checkett oversees business development for HMA. She collaborates with colleagues nationwide to continuously identify, pursue and secure new projects, maximize client satisfaction and retention, and ensure success for both clients and HMA. Her team coordinates firm-wide prospecting, pipeline management and proposal development. She oversees strategic partnerships, sponsorships, conferences, webinars and other client facing promotion, and she consults on marketing and messaging. She tracks emerging industry trends and client needs to inform development of new services and product lines. Prior to HMA, Donna was vice president of Medicaid growth for Aetna, a diversified healthcare benefits company serving more than 46 million consumers nationwide. She strategically coordinated the expansion of the company’s Medicaid footprint in eight states over the past three years, including California, Florida, Louisiana, Maryland, Nevada, New Jersey, Virginia and West Virginia. She directed enterprise level state regulatory and government affairs, and introduced a new advocacy strategy to advance Medicaid market and corporate growth. She shaped Medicaid product offerings and service delivery innovation, creating value-added differentiators within the highly competitive market segment. Donna also developed the original business case for Missouri Care, a Medicaid managed care plan created by the University of Missouri. As the CEO, she led the plan start-up, securing the Certificate of Authority approvals, hiring staff, and contracting the provider network. 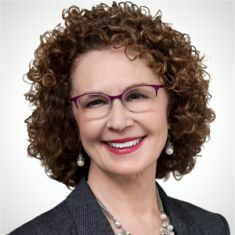 During her eight-year tenure as Missouri Medicaid director, Donna shaped early healthcare reform policy, and led the design and implementation of the state’s first Medicaid managed care program. She championed large-scale revenue maximization solutions that remain in place today. A national thought leader, Donna was appointed as an inaugural commissioner for the Medicaid and CHIP Payment and Access Commission, advising Congress about Medicaid programming and financing issues. She is past chair of the National Association of Medicaid Directors and has served on various committees for the Medicaid Health Plans of America, America’s Health Insurance Plans and other industry organizations. She earned a master’s degree in public administration and bachelor’s degree in art history from the University of Missouri-Columbia and a second master’s degree in social work from the University of Texas-Austin. An avid traveler, Donna and her husband, Chris, seek out great food, great coffee, great wine, great art and great independent bookstores everywhere they visit.